Today, Easter is a festival and holiday celebrating the resurrection of Jesus Christ from the dead, described in the New Testament as having occurred on the third day of his burial after his crucifixion. However, Easter was celebrated by the pagans long before it became a Christian day of celebration. Can you answer these eleven questions pertaining to this ancient celebration of the coming of spring? 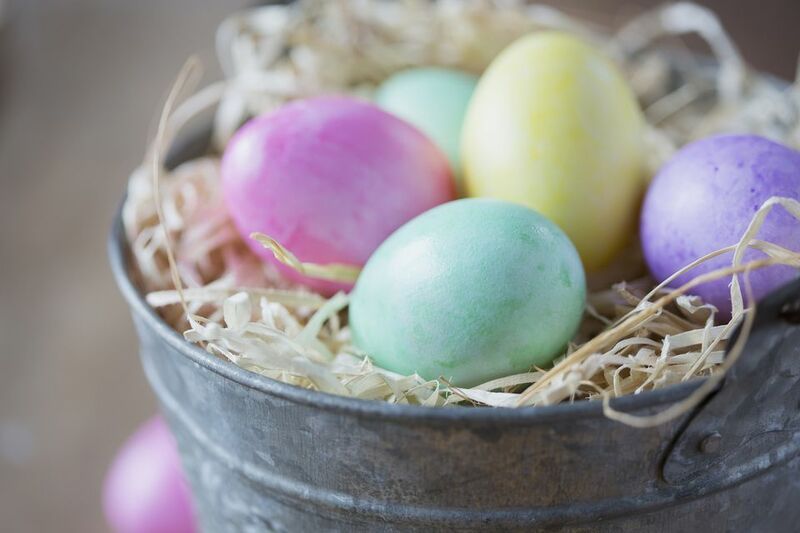 Take the Easter Trivia Quiz. Visit our main index of Easter Puzzles for free crossword puzzles for older solvers, themed word search puzzles, online memory games as well as Easter puzzles for children. If you're looking for a special gift idea for Mother's Day, consider The Mother's Day© Personalized Photo Puzzle. This custom-made jigsaw puzzle features an adorable design that Mom (or Grandma!) and child will love putting together with one another! Just electronically send in a favorite photo and it will be reproduced on a sturdy, white cardboard puzzle and coordinating gift tin.